Randwick Girls High School is the top comprehensive girls high school in the Eastern Suburbs. With a very strong academic focus, most students progress to further education in their area of expertise due to the extensive range of subjects offered to them. Our students are provided with opportunities to excel in all Key Learning Areas. These range from the traditional English, Mathematics, Science, Histories and Social Sciences to extensive curriculum offerings in PD/Health/PE and Human Movement, Design and Technology, Food Technology, Textiles, Design, Visual Arts, Photography, Music, Hospitality, Computing Studies, Software Design and Information Processes. Our focus for the last three years has been the production called THE SHOW, which is performed annually at The Parade Theatre, NIDA. On average, well over two hundred students from RGHS and RBHS are involved in these productions. Students sing, dance, act and fundraise, while senior students and ex-students help as Dance Captains training younger students. At RGHS we believe that debating is a fantastic way to develop the confidence and skills one needs to become a leader. 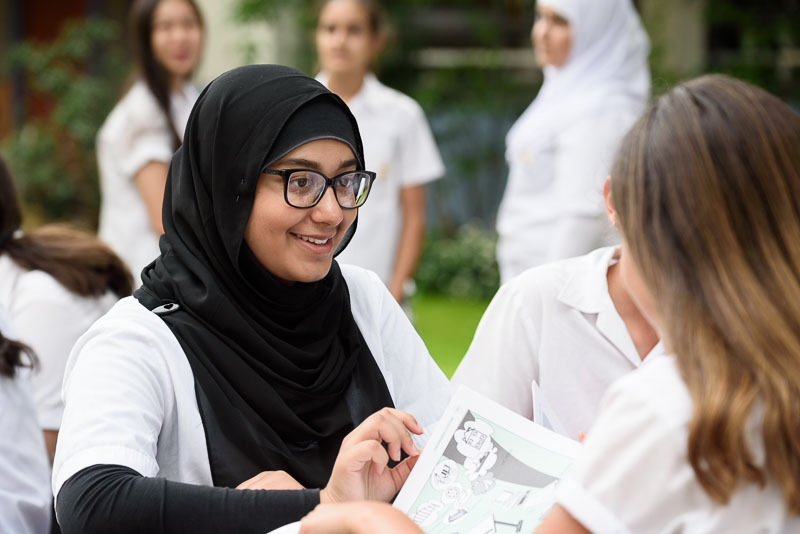 At RGHS we are always looking for students to be involved in the life of the school as much as possible, so the doors are open for any girl who wants to join the debating team. 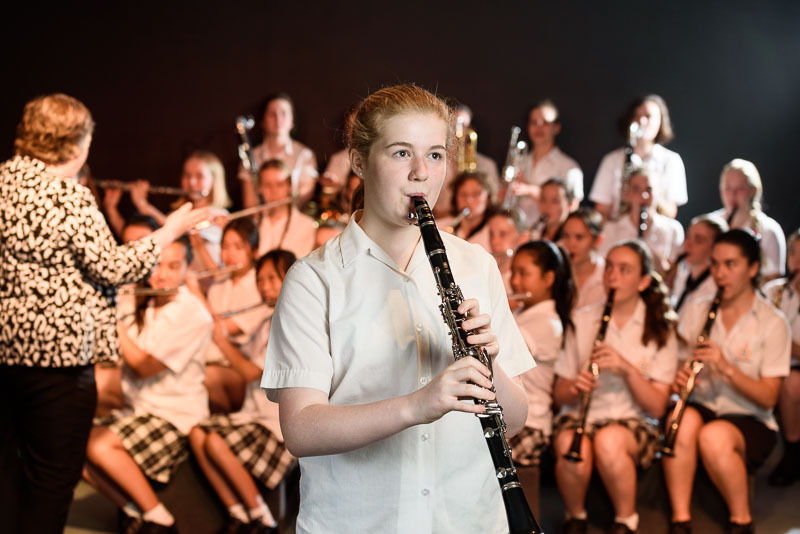 Randwick Girls' High School offers a wide range of musical experiences for students that foster creativity, self confidence, disciplined effort across multiple ensembles including Concert Band, Jazz Ensemble, String Ensemble & Choir. Weekly rehearsals allow students to be equipped and confident to perform in a range of school concerts and community events. Sport and physical activity is a valued and accepted part of our school's curriculum, contributing to the development of the whole child. There are many opportunities for students to represent our school at inter-school sports competitions. Our Dance Ensembles regularly perform at the Seymour Centre at the Public Schools NSW Dance Festival and at the Bondi District Showcase. They also many opportunity to attend productions such as performances by the Sydney Dance Company. Students perform at MADD Night and in the annual school production called The Show at NIDA. Art Club provides our creative students with an arts-focused extra curricular experience, allowing them to develop their art making skills and meet other creative people. Furthermore, opportunities are created for students to be involved in whole school creative projects, as well as opportunities to enter artworks into local art prizes and exhibitions. Crystal Club is one of the newest and most exciting additions to the extensive lineup of clubs RGHS has to offer. 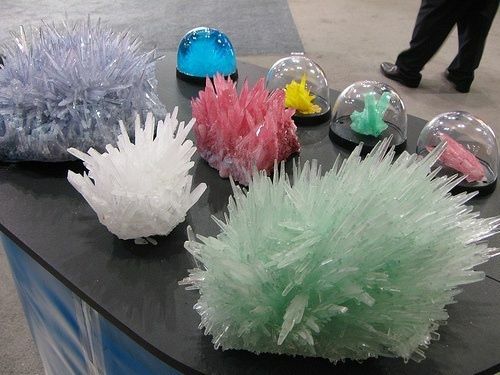 Students are given the opportunity to grow various different types of crystals in a fun and interactive learning environment. 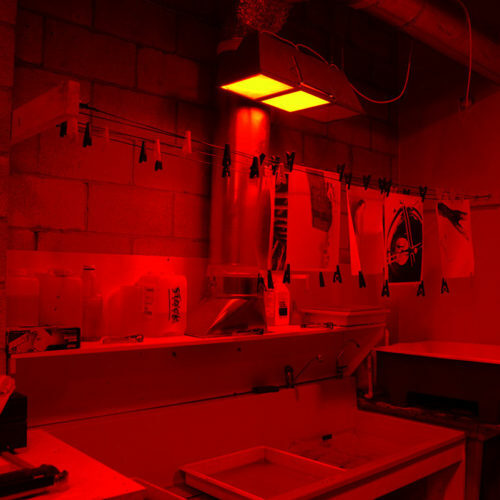 Photography Club is administered through the social media platform Instagram, founded on the concept of weekly photographic challenges that encourage students to explore a variety of themes, technical skills and compositional strategies in their photographs. Jewish club meets weekly to discuss and celebrate Judaism. The club aims to further knowledge and appreciation for Judaism and promote the study of Jewish culture. Socrates Club provides a place for students to exchange philosophical ideas, experience creative freedom and share this passion with others. The club aims to build a culture of critical and creative thinking at Randwick Girls High School. Craft Paper Scissors is a club that caters to all creative pursuits, whether it be jewellery, children's toys, knitting, crocheting and quilting. Each year students of this club donate their creations to those in need through not-for-profit organisations. Coming together regularly to play chess, games in this club are classified as 'competitive social' with a friendly & laid back attitude. We welcome any student with an interest in Chess to join us. Anime club meets every Friday during lunchtime. There club members enjoy a range of activities including watching anime movies, drawing manga and also making Japanese food. The club atmosphere is very relaxed and anyone with a passion for Japanese anime culture is encouraged to join. The French Club provides an opportunity for students from different classes and year groups who have advanced French speaking skills to meet and share their love of French language and culture. 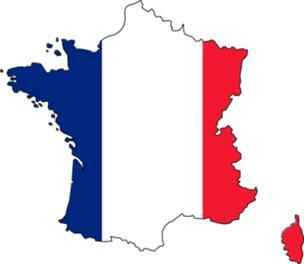 They can build their confidence in spoken French in a friendly and fun atmosphere while discussing the latest French music, youth culture or enjoying French food. Special Religious Education (SRE) is undertaken at Randwick Girls High school by those students who elect to participate. In 2019 students may choose from Protestant, Catholic, Jewish or Buddhist classes. SRE lessons will occur in Semester one on the 1st April and the 12th June. 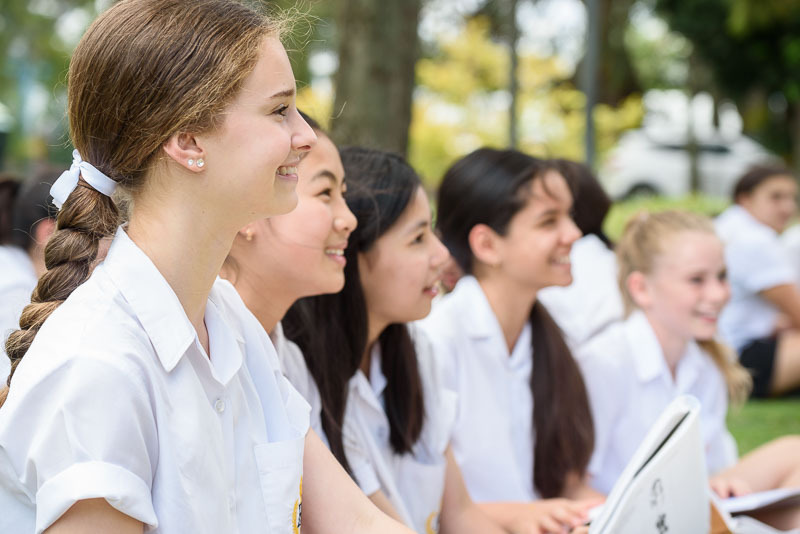 For more information about Special Religious Education (SRE) please visit: https://education.nsw.gov.au/teaching-and-learning/curriculum/learning-across-the-curriculum/religion-and-ethics . The program is run in accordance with Section 32 and 33A of the Education Act 1990.